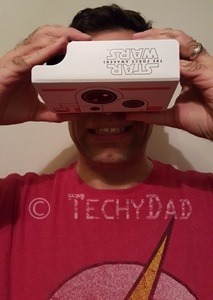 This weekend is going to be a very big couple of days for geeks all over. Tomorrow begins the celebrations with Free Comic Book Day. Every year, on the first Saturday in May, comic book shops around the globe give away comic books. I’ve written before about our previous free comic book day trips. I hope to go with the boys again this year. 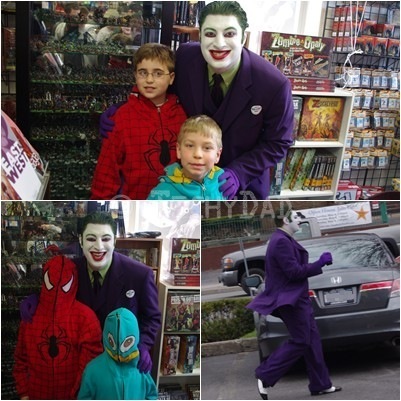 I’m not sure if our local comic book store will have people dressed in costume like they’ve had last year, but it’s always fun to see what comic books interest the boys. Sunday is May the 4th. Star Wars fans, noticing the similarity between the day’s name and the Star Wars quote "May the Force be with you" have adopted this day as "Star Wars Day." 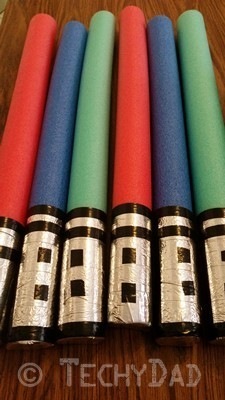 We already have our foam lightsabers ready to go. (We might take them with us to Free Comic Book Day as well.) Unfortunately, the weather doesn’t look like it will hold out to allow us to conduct some lightsaber battles outside. We might need a raincheck for that. Will you be attending Free Comic Book Day? How will you celebrate May the Fourth? Star Wars day is coming up on Sunday, May 4th. (May 4 = May the 4th = May The Force.) 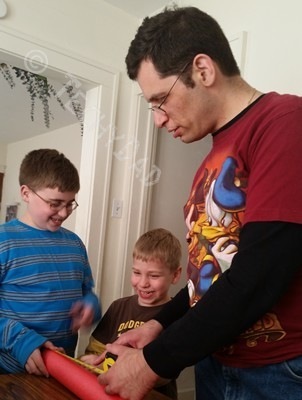 Given that the boys and I are such big Star Wars fans, we figured that we just had to do something special for it. 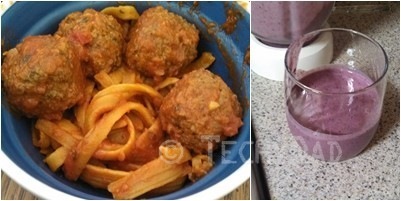 (Plus, B had to do a freelance article about the day.) 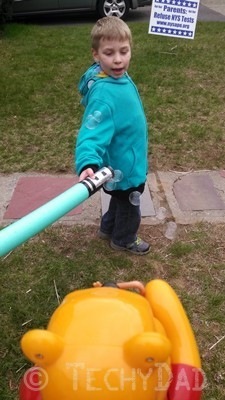 We decided to tackle something we’ve seen and had been meaning to do for awhile now: Foam Lightsabers. 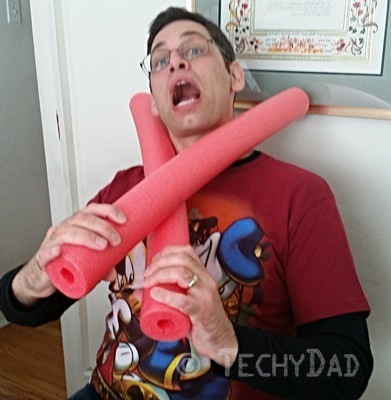 Foam pool noodles – You should be able to find these for $1 each. We found ours in Christmas Tree Shops. 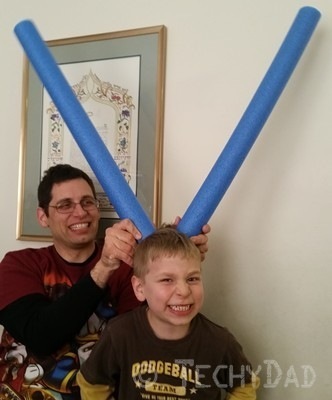 Make sure they’re just think enough to wrap your hands around (as if they were lightsabers). 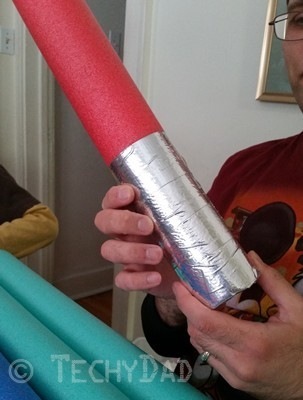 Shiny silver duct tape – You can get this in Target, Jo-Ann, or another craft shop. This should only cost about $3.50 depending on the store, sales, coupons, etc. 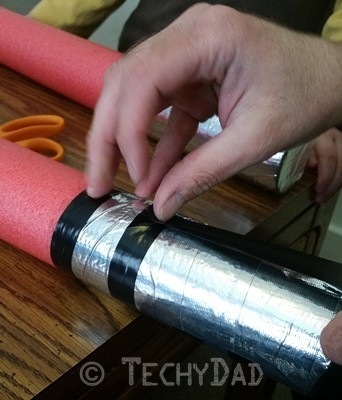 Black electrical tape – You can get this in Target or a hardware store. This should only cost around $2.30. 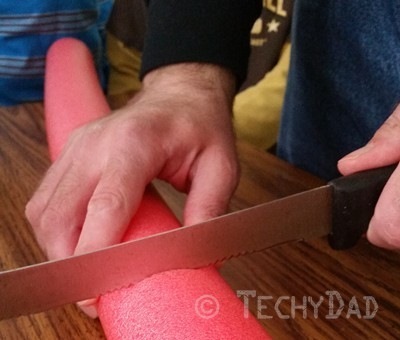 Once you have your supplies, measure your pool noodles and cut them in half. No, not two lightsabers. Not yet. Next, use two strips of duct tape to cover the end. Careful of photobombing Yoda, you should be. 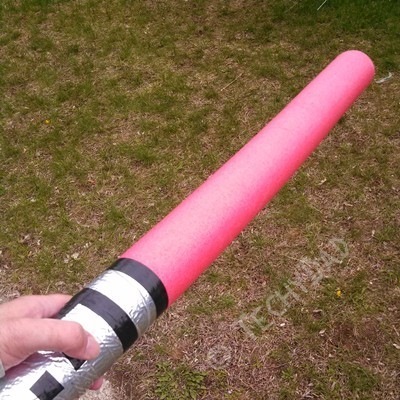 After this, wrap the bottom of the lightsaber with four lines of duct tape. Make sure to always start at the same section to keep a consistent seam. 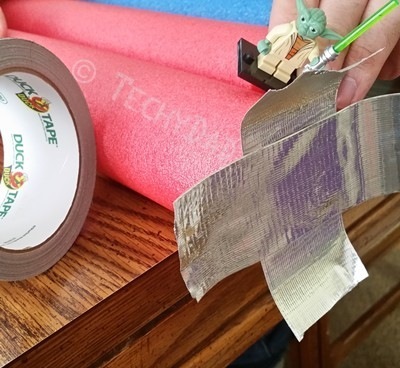 Also, wrap the tape while facing the end of the lightsaber head-on. Doing it from the side may cause the handle to wrap unevenly. You now have a bare-bones lightsaber. Of course, we want more than just a barebones lightsaber. We want a full fledged Jedi weapon. It’s time for the electrical tape. 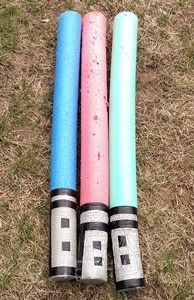 You can vary this portion to customize your lightsabers however you like. 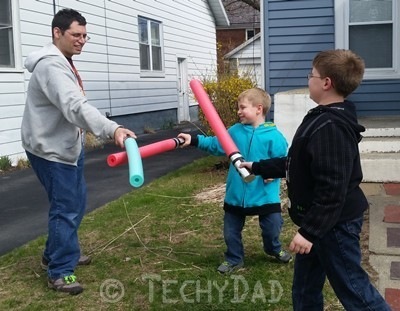 You can even give your kids some lengths of tape so that they can customize their own lightsabers. 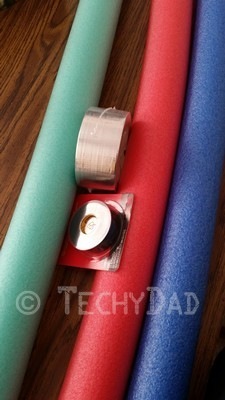 One tip is to use a strip of tape to hide the duct tape seam on the back of the lightsaber. You can also use electrical tape squares as buttons. Now, your lightsaber is complete. As I got more practice in making them, I found I could turn out a new lightsaber in a matter of minutes. It’s time to go outside and battle some Sith.